How do I know if I need contents insurance? Isn't my stuff already covered by home insurance? Well, not necessarily. Contents insurance exists exactly for those exceptions which are not covered by basic home insurance. The rule of thumb for determining whether an item falls under home vs contents insurances is this: if the item is permanently attached to the home, then home assurance applies to it. Otherwise, the item requires the additional protection of contents insurance. While contents insurance is usually sold alongside a home insurance policy, you don't need to be a homeowner to take advantage of it; if you are a renter, you can protect your possessions by purchasing a contents policy as a stand-alone item. So let's take a look at commonly insured items to learn what category they fall under. 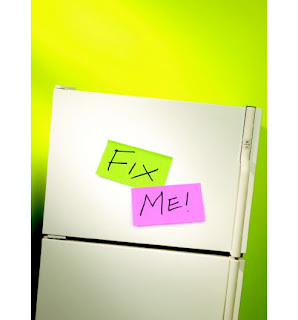 Laundry appliances – these would be covered under home insurance if they were stolen or damaged by weather or fires. However, in terms of regular wear and tear, you would need contents insurance to cover them. 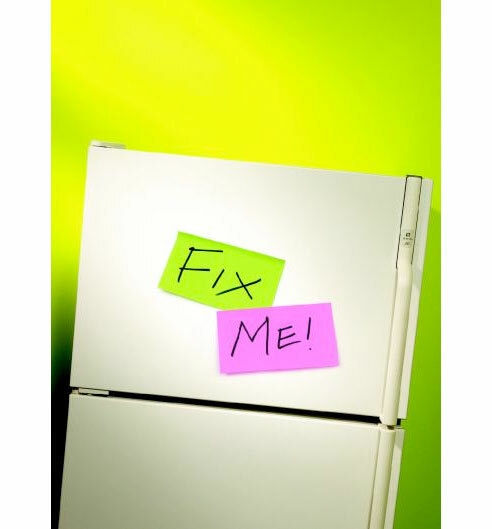 Refrigerator, freezer, oven, microwave – like your laundry suite, barring natural disasters and theft, you would require contents insurance to cover damage done to these items. Stovetop – this is usually considered a permanent part of the home, and would therefore be included in most basic home insurance policies. Stove Hood – this may surprise you, but stove hoods are not generally considered a permanent part of your home; it might not occur to you to insure it separately, but you would need contents insurance to cover malfunctions for your hood. Air conditioning – stand-alone units would be covered under contents insurance; central air conditioners would be covered under home insurance. Heater – space heaters would fall under contents insurance; central heating would fall under home insurance. Vacuum cleaner – Have you caught on to the pattern? You guessed it: if it's a central vacuum we're talking about, basic home insurance covers it. For your Hoovers and Roombas, you'll need contents insurance. How much of a dent will contents insurance make in your paycheck? The good news is: not much. You might be surprised at how much more economical contents insurance is when compared with some of the warranty plans that items are sold with...and it will certainly save you money and peace of mind on items that are costly to repair and replace. In this increasingly digital age, we are prepared to back up records of our electronic information easily and readily, but we often forget to do the same for our tangible goods. 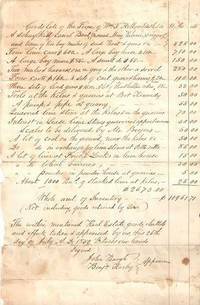 Why keep records of your possessions? Because if theft or damage occurs, you will simplify your life a great deal by knowing what it is exactly that you have lost. For one thing, it will help you to settle your insurance claim more quickly, and will help you to replace your goods with minimal disruption to your routine. More than half of Canadians do not maintain inventories of their goods which puts them at risk for inadequate home insurance if they should find themselves facing large scale loss. Here’s how to make sure you don’t fall into that wrong half. Start simply: set up a table where you can list the various items you have, and make columns for various details that you would like to record (for example: descriptions, brands, model numbers, serial numbers, date and place of purchase). Store a hard copy of your list in a folder along with relevant receipts, appraisals, and any other type of paperwork you may have. You may also find it useful to photograph the items as you catalogue them. The biggest mistake you can make with tackling a home inventory is to adopt an attitude of passive perfectionism (“if I can’t do a perfect job of it, I won’t do it at all). Putting together a complete inventory for a large household can be very intimidating…but a partial list is far better than no list at all. If it makes things easier, work backwards: start by recording recent purchases, which you can still recall relatively well, and work your way back as far as you can remember. As you move back towards earlier purchases, keep in mind that items like antiques and coins are likely worth more now than they were when you first acquired them, so consider getting them appraised. You may also want to verify with your insurance agent that your plan covers loss and damage to these items. Once you have completed your inventory, make sure your hard work is protected by properly storing your lists. Leave hard copies with relatives or friends, and keep digital records close at hand as well. As you go about completing your inventory, try not to be overwhelmed by the enormity of the task. If you commit to recording a few items every day, you will have a fairly accurate list in no time. 1) Find sellers who actually want to sell. In spite of cooling real estate markets, not every seller has realistic expectations for the sale of their home. After spending a given amount on the purchase of their home, and additional amounts on improvements, it is not uncommon for a homeowner to feel that they must recuperate these costs in selling their home, regardless of current market prices. It may also be the case that a homeowner is clinging to the notion of an exaggerated appraisal made in an inflated market. At any rate, sellers who are not willing to recognize current market prices could potentially be a huge and unnecessary money sink for you, so avoid them if you can. 2) Investigate the possibility of adding the closing costs to the sale price of the home. This way, the money you pay towards legal fees, inspections, etc. will count towards your down payment. If a seller is motivated to sell, then this is a reasonable request to make of them. 3) Buy properties that are currently under construction. Time is money, and if you have the time to wait several months before moving into your new home, you can expect to pay less for a given property that is still being constructed than you would if it were already complete. 4) Learn about government sponsored incentives that may apply to you. For example, there are special loans for which self-employed and low income families qualify for which can help to ease the burden of budgeting for a new home. Remember: while a cooling real estate market may be a buyer’s market, you should only consider this an advantage if you actually intend to purchase and live in a home for at least five years. Otherwise, the losses associated with having to resell your home too quickly could be substantial. 1) Hydrate – because drinking water is such a simple solution, and because it is prescribed as a way to alleviate just about any problem under the sun (pun intended), we often take for granted just how effective it can be. However, the reality is that drinking water is one of the best ways to cool off. This is because the water entering your system is much lower in temperature than your own body temperature, and will need to be warmed using your body heat. 2) Ice – placing a large block of ice in front of a fan may not be the best way to cool a 2400 square foot home, but it is a very effective way to cool off a single room. 3) Spritz – keeping a spray bottle filled with water beside your sleeping area and misting yourself frequently will help your body to cool off significantly; especially applied to vascular parts of your body like your forearms. 4) Linen – consider bedding and clothing made of linen during the summer months. Linen actually wicks moisture away, keeping you cool and dry. It also has the added benefit of antimicrobial properties. 5) Bathe – take colder showers than you are used to. This will actually cool your core. Also remember that if your central air conditioning system malfunctions, it may be covered for repair by your home insurance policy. It would be a good idea to verify this beforehand, so that if and when you find yourself in such a circumstance, you have a plan of action. During tough economic times, many of us look for ways to reduce our expenditures. Armed with a spending plan, perhaps a budgeting software tool, and plenty of good intentions, we are optimistic that within just weeks of faithful frugality, we’ll be able to see the fruits of our self-discipline in the forms of shrinking debts and growing savings. However, one of the most discouraging discoveries we quickly make is that the majority of our spending has been on necessities—and not luxuries—all along…and we are not in control of the market prices of necessities. This is especially true of the cost of fuel, since gas is a commodity that we simply cannot shop around for. 1) Mitsubishi i – This car is 100% electric. It can comfortably seat four, and can be charged in the same outlet you plug your toaster into (although it might be a nuisance to charge your car in the kitchen). Its compact size makes it a good choice for city dwellers too. 2) Nissan Leaf – this five door hatchback is also 100% electric, meaning it produces no tailpipe pollution, and no greenhouse gas emissions. If you are looking for something slightly larger than the i, this may be the car for you. 3) Toyota Prius – this hybrid was the car to start it all, jumping on the market in 1997. Although, unlike the two previously mentioned contenders, it is not 100% electric, the fuel savings associated with driving a hybrid car are still huge compared when with a conventional one. With a reduction in your fuel spending, and a reduction in your carbon footprint to boot, you may want to consider making your next auto purchase a greener one. 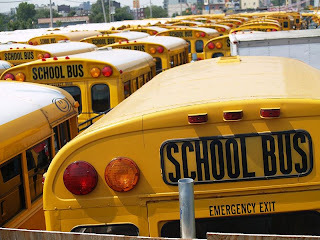 Even though most people wouldn’t normally associate early July with the back-to-school rush that sweeps through Canada’s residential communities each year, the fact of the matter is that the best kind of preparation happens both early and with an extremely thorough attention to detail. Consequently, it would seem that the best way to prepare oneself for the early fall onslaught as thousands of kids start trekking back and forth from school each day is to get into a back-to-school mindset before the season is actually upon us, and this should particularly be the case where driving habits are concerned. Even though bad driving habits can always be considered dangerous, the danger is compounded when factors like school buses, parents driving to pick up their kids and crowds of students walking to and from school are added to the equation. Thus, the best way to ensure that the worst doesn’t happen is to take special precautions; follow these simple tips and you just might find that your routine during the back-to-school season doesn’t have to be all that stressful. 1. School zones should be avoided if possible. Logically, the best way to avoid the stress of having to navigate around commuting parents, buses and crowds of excited kids is to completely avoid the areas where they’re likely to congregate. 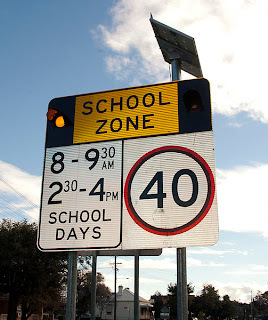 This means that school zones, many of which are located in and around residential areas, should be skipped over in favour of routes that are less likely to be populated by back-to-school commuters. 2. Back-to-school driving means more teenaged drivers. Like so many unchanging aspects of life, it remains a fact that every year, more and more teenagers will have gotten their drivers’ licenses and are looking for opportunities to exercise their newfound freedom. Unfortunately, this also means that you’ll likely be sharing the road with at least some of these inexperienced drivers – if, of course, you aren’t in the process of training one yourself. All that is really required given this extra variable is a little more diligence when it comes to minding your neighbours on the roads, but this should be particularly emphasized around school zones, driving schools and anywhere else that new drivers are likely to congregate.